The LG G watch R features a circular 1.3 inch plastic oled or p-oled display, a technology same as that in lg’sg flex smartphone.the display comes with a 360×360 pixel resolution and unlike many android smartwatch it claims to utilize 100 percent of the watch face. 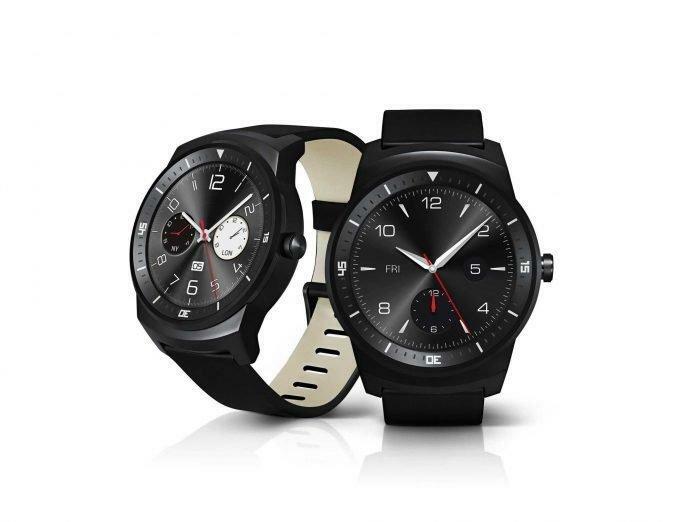 Being an android watch it features a 1.2Ghz qualcomm snapdragon 400 processor paired with 512MB of RAM .The smartwatch comes with an inbuilt storage of 4GB and Is backed by a 410 mAh battery, it is also ip67- certified and is claimed to withstand 30 minutes in 1metre of water. (if u don’t know what ip67 is I represents its ingress protection with good dust and water protection 67 indicates the higher chances of protection). It also features voice recognition notifications that can provide information related to missed call ,upcoming meetings ,events and local weather. As for health features , the smartwatch includes a suite of lg health and fitness app along with its ability to track users heartbeats and other sensors include gyro/accelerometer/compass and barometer. It features a stainless steel frame ,and is supported by a 22mm calfskin leather strap and also available in black colour too. The smartwatch revolution is now in full flow. Pretty much all of the major smartphone players have turned their hand to making wristcutters this year, with the likes of Samsung, Apple, Sony, LG and Motorola all announcing or releasing their own devices.let see the changes that will happen with this upcoming android smartwatch will it it give a tough competition to its competitors like moto 360 or else takes a new turn .